Who hasn’t dreamed of a Hawaiian destination wedding? The beautiful islands of Hawaii each have their own personality. White sand beaches, lush mountains, historic homes, tropical gardens, and luxury resorts offer seemingly endless views of sky and sea. Whether you seek the simplicity of a beach wedding for two or a lavish celebration for 250, there’s an ideal wedding location for everyone in Hawaii. My Hawaii Wedding caters specifically to private ceremonies, The Best Hawaii Wedding specializes in small chapels, and the others uniquely speak for themselves. May these 25 wedding venues in Hawaii move you along the path to your own dream wedding. 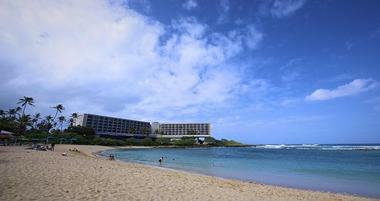 Turtle Bay Resort is a dream destination for couples on Oahu’s North Shore. This idyllic locale has it all, from rocky shorelines to sugary white sand beaches in tranquil bays to pounding open ocean surf. As one of the top ten honeymoon hotels in Hawaii, couples will want to get organized early. 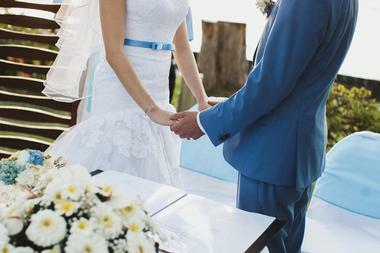 The resort hosts around 350 weddings per year, so it’s easy to miss out on a preferred date. 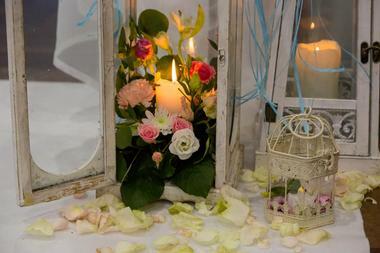 On-site venues are varied enough to appeal to couples with any wedding style in mind. Choices include Kuilima Cove, 18th Green, Stables, Bay View, Kuilima Point, and Pavilion. Kuilima Cove and Pavilion are limited to 50 guests for ceremonies and receptions. 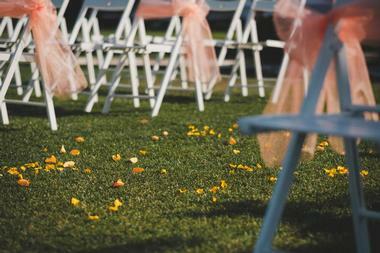 The others offer beach and lawn combinations for larger weddings. Located on the Big Island, Hapuna Prince Hotel is nestled among bluffs overlooking the pristine white sands of the Kohala Coast. This luxury resort features a contemporary Hawaiian style boasting a stunning open-air lobby with gigantic stately columns, a rotunda ceiling, and curved staircase, ideal for gorgeous wedding photos. The resort offers four exceptional wedding packages that can be personalized by their expert wedding coordinators. 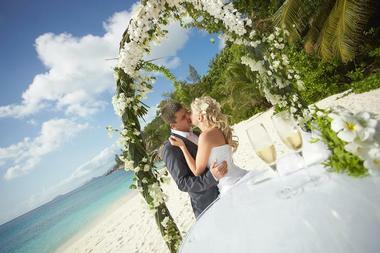 They can create everything from barefoot beach ceremonies to grand and opulent indoor ceremonies fit for royalty. The hotel provides all of the amenities and accessories needed for a dream wedding, including on-site wedding managers, marriage license agents, professional musicians, photographers, videographers, flowers, and numerous add-ons such as rose petal walkways. Located on 30 acres of beautifully landscaped tropical flower and fruit gardens, Holualoa Inn is a charming estate featuring more than 4,100 Kona Coffee trees overlooking the scenic Pacific Ocean. Originally built in the 1970s to serve as a private residence, Holualoa Inn offers a home-away-from-home ambiance that draws in couples who want an intimate and romantic experience in a tropical setting. 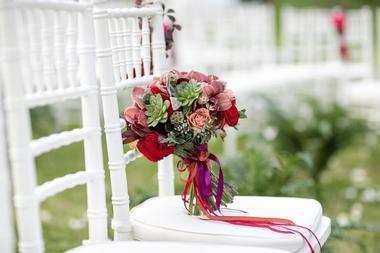 They can cater to small elopement-style weddings or grand, lavish weddings with the use of their four unique venues. These include an open-air pavilion, a six-room Big Island Hawaii bed and breakfast, a vintage one-bedroom cottage, and their newly renovated Red Barn. 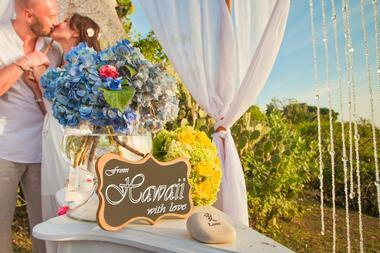 Amazing Hawaii Weddings is a one-stop-shop event planning company on Oahu. They are located at Waimanalo Beach & Cottages on one of the best beaches in the country. Their professional team of coordinators will work with each couple to design their dream wedding. In business for over a decade, they are passionate about creating the most magical weddings down to the very last detail. Couples can choose from over 30 venues, including the historical Waimanalo Beach Cottages, Disney Hotel, Sea Life Park, and Turtle Bay. They offer the very best event planners, florists, videographers, photographers, designers, musicians, wedding cakes, Hawaiian shows, photo booths, caterers, officiants, and visual plans. Located in the historic YWCA Laniakea Center, Café Julia is a private 1920s-style dining room featuring an opulent design encircled by stately arched windows leading to a magnificent outdoor courtyard. This allows for seamless transitions. Guests can enjoy an elegant cocktail hour within the charming café boasting soaring ceilings and a neutral palette, before moving outside to watch the couple say “I do” beneath an arched walkway situated atop steps overlooking the large patio. They offer three wedding packages that can accommodate up to 250 people and provide white linens, tables, Chiavari chairs, and string lighting in the courtyard. 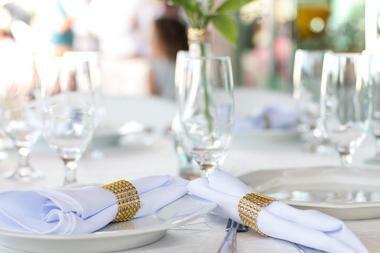 Café Julia also provides hors d'oeuvre, buffet, and beverage menus specially designed for each couple. A historic 2,700-acre property, Dillingham Ranch is situated on the North Shore of Oahu in Mokuleia, Hawaii. Dillingham features 19 glorious acres of oceanfront property extending to the Waianae Mountains and the ridge line of the Mokuleia Forest Reserve. There are also scenic views of the North Shore’s world-famous surf beaches and Kaena Point. The grounds themselves boast premiere equestrian grounds, a legendary polo field, and the state’s largest coconut tree grove. It is also home to the Dillingham Lodge, a completely restored and renovated “Big House,” which includes an opulent 3,000-square-foot great room. The diversity and beauty of the ranch allows couples to choose from an array of nature-infused wedding locales. The Four Seasons Resort Lanai is located on a secluded private island featuring seaside cliffs, expansive beaches, and verdant mountains. An ideal destination for romantic island-infused weddings, the Four Seasons offers an array of completely customizable, luxurious indoor and outdoor venues. This 90,000-acre isolated island can accommodate everything from small and intimate gatherings to large, extravagant multi-day wedding events with their various packages. Options like “Just the Two of Us” and “Deluxe Wedding,” can begin the creation process for each couple. They include everything from the officiants, flowers, music, and photographer to the dining, cake, and choice of décor. Haiku Gardens is the ideal venue for tropical weddings. Nestled in Haiku Valley, this hidden gem offers couples their own secluded paradise. Couples can choose from their three beautiful event spaces – the stunning open-air chapel, gorgeous private botanical garden, or elegant, raised white gazebo stretching out onto a serene pond. The majestic Ko’olau Mountains serve as the scenic backdrop to this 4-acre property, highlighting the lush, tropical landscape of the gardens. They offer a handful of wedding packages that can accommodate up to 200 guests, and their expert wedding coordinators work with each couple to design every aspect of their wedding, including musicians, photographers, stylists, entertainers, florists, and officiants. The Hawaii Polo Club is situated on Oahu’s picturesque North Shore, tucked between the clear waters of the Pacific Ocean and the magnificent Waianae Range. Its location offers couples the perfect blend of high style and rugged natural beauty. This exclusive oceanfront property provides couples with two venues, a barefoot-style beach wedding or an elegant polo field wedding. Either option can be followed with a reception in the club’s beautiful event tent or on the clubhouse deck. The venue can accommodate up to 500 guests, and couples are allotted 12 hours to set-up and break-down their event. 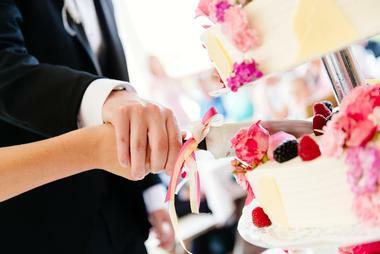 The ceremonies are handled by the club exclusively, however, the reception details need to be arranged by the couple. Hawaii Weddings one of the oldest, most respected, and experienced wedding planning companies in Hawaii. They offer an extensive list of locations for each couple to choose from and specialize in beach, sunset, and waterfall weddings. The company also provides a large list of packages that are each completely customizable to fit each couple’s unique desires. All packages include a wedding coordinator, photographer, digital images, flowers, custom bridal bouquet, the venue, permits, and a keepsake wedding certificate. Depending on the preferred package, couples will also receive upgrades such as a professional videographer, professional musician, a Hawaiian officiant, a two-location photo shoot, wedding cake, live stream, and so much more. Couples dreaming of a remote location hidden away from the hustle and bustle of city life will love the He’eia Banquet Hall located at He’eia State Park. It is minutes from Waikiki on the windward side of Oahu at Ke’alohi Point. This slice of paradise provides an intimate waterfront setting and an elaborate rustic banquet hall with exposed wood beams and a soaring ceiling. Breezy trade winds make for a comfortable celebration. The main hall overlooks magnificent Kaneohe Bay and can accommodate up to 300 guests. It’s ideal for a sit-down dinner and dancing reception after a peaceful waterfront ceremony. The Hilton Hawaiian Village Waikiki Beach Resort provides several picturesque indoor and outdoor locations for wedding ceremonies, receptions, and honeymoons. Couples can exchange vows in the resort’s lovely chapel, in one of their many opulent ballrooms, or outdoors overlooking the Pacific Ocean. Their six indoor venues can accommodate anywhere from 270 to 2,600 guests. The resort’s signature Coral Ballroom is decorated in a delicate shell motif featuring crystal chandeliers and gorgeous murals. The Great Lawn and Village Green, surrounded by gentle waterfalls, tropical gardens, and an adjacent pond, are the ideal locales for outdoor ceremonies. Each wedding is tailormade with the aid of their excellent event services team. The Ka’anapali Beach Hotel is situated along world-famous Ka’anapali Beach, offering couples numerous venues to host their dream wedding. From tropical gardens and oceanfront lawns to luxurious indoor banquet rooms, this hotel has a little something for everyone. Their expert wedding specialists work with each couple to design the perfect wedding, offering assistance in every aspect of the special day. 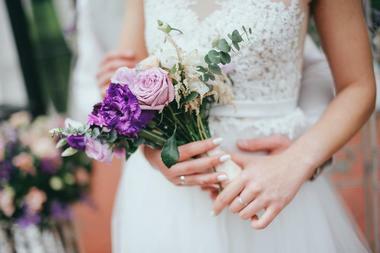 Couples can choose from their extensive list of bar, food, floral, and musical options for all ceremony styles, from elopements to vow renewals and everything in between. Their venues can accommodate up to 300 guests, and couples are provided with rental equipment, bridal suites, service staff, and tents for their big day. Those looking for a premier ballroom venue on the windward side of Oahu will want to check out Ko’olau Ballrooms & Conference Center. The backdrop to this venue is a verdant 2,000-foot cliffside of the stunning Ko’olau Mountains. Situated on a lush tropical property of 242 acres, this is an elegant choice for outdoor or indoor ceremonies and receptions. 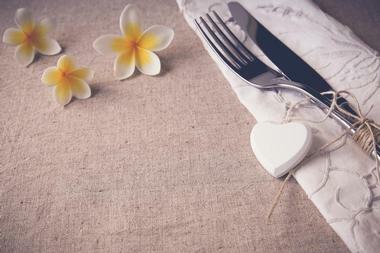 Ko’olau can accommodate any wedding from the largest and most lavish to the smallest and most intimate. Couples can choose an outdoor garden, indoor waterfall, or outdoor mountain vista as the background to their ceremony. Receptions can be held in the Grand Ballroom, Glass Ballroom, or the smaller Mauka and Makai Rooms. Couples looking for the ultimate in privacy may want to consider the “Secret Island” at Kualoa Ranch & Zipline. It’s the only secluded white sand beach on Kane’ohe Bay. Rhianna and Janet Jackson have held events here, so couples know the privacy is real. This section of the beach is sunny in the morning and shaded in the afternoon. If the Secret Island isn’t quite a fit, there are seven other indoor and outdoor wedding venues to choose from that are equally beautiful. Paliku Gardens can host up to 150 guests in a three-level garden with extraordinary views. Brides can take advantage of a natural grand staircase inn a two-tiered garden setting at Moli’I Gardens. 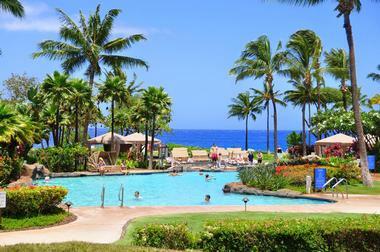 On Hawaii’s Big Island, Mauna Kea Beach Hotel provides couples with no fewer than ten wedding venues on site. Seven are outdoor venues, and three are indoor/outdoor. The Lloyd Seton Gallery in the atrium of the resort is perfect for a formal seated dinner after an outdoor ceremony. The luxurious Kauna’oa Ballroom offers an airy space for an indoor reception with panoramic views of the coastline and Kauna’oa Bay. The shaded Luau Grounds are a great choice for an authentic outdoor Hawaiian wedding and luau experience and have the facilities to pull it off. Mauna Kea’s North Garden reflects the multi-cultural heritage of Hawaii. Mauna Lani Bay on the Big Island can accommodate weddings from the smallest to the most impressive with packages to match any experience. The Aloha Wedding provides an intimate beach wedding for two. 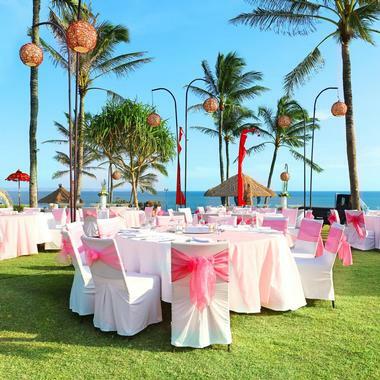 An Intimate Wedding hosts up to 20 guests on either the beach or the lawn. Daytime Weddings for up to 50 guests are performed mid-morning at a variety of available outdoor locations. Sunset Weddings accommodate 25 to 50 guests and begin an hour before sunset. 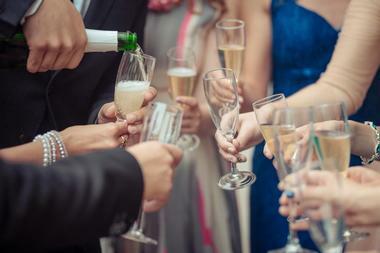 A Grand Affair wedding can host up to 200 guests and includes lots of extras. The Mauna Lani Celebration is designed for the large and lavish Hawaiian wedding. My Hawaii Wedding is for couples who opt for a small private wedding and like to have choices. This wedding service offers private ceremonies at nine locations, including Waialae, Magic Island, Waimanalo Beach, Waikiki Beach, Makapu’u, Waikiki Gardens, Hilton Beach, Secret Beach, and Sandy Beach. Couples also have the choice of three levels of wedding packages to pair with their desired location. The Simple Wedding level includes either the Anthurium Package for morning ceremonies or the Hibiscus Package for anytime. At the Most Requested level, the choices are the Coral Hibiscus, Orchid, and Heliconia packages, each with its own menu of amenities. There are four Deluxe level wedding packages; each includes a limo for 3 hours. One of Maui’s most favored wedding venues is the 1922 Olowalu Plantation House. Couples who choose this wedding location won’t have much to do to prepare it with decorations, as the ornately furnished home is stunning on its own. Olowalu House is an oceanfront property with a large lanai and expansive lawn. The views are amazing. The interior of the house provides rooms for the bridal party and groomsmen to prepare, and the commercial kitchen offers the perfect space for professional caterers. Morning and sunset weddings are limited to 50 guests, but couples hosting weddings with up to 200 guests may choose the full-day rate from 2:00 p.m. to 10:00 p.m. Monday through Sunday. 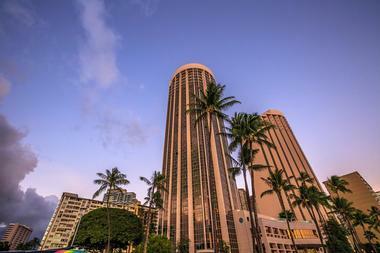 Prince Waikiki is a luxury hotel in Honolulu overlooking Kahanamoku Lagoon and the boat harbor. Couples can choose from two ceremony locations on the property, either the Pi’inaio Ballroom or Bird of Paradise. The Pi’inaio Ballroom has recently been renovated and is best suited to formal ceremonies and receptions, and the more casual Bird of Paradise overlooks Prince Golf Club. It provides an indoor/outdoor experience with walls of windows that open and an outdoor wraparound terrace. Wedding receptions can be accommodated at both of these ceremony sites, plus the private dining room at 100 Sails Restaurant & Bar and one of the Palolo Banquet Rooms. Tucked away in the Nu’uanu Valley, Queen Emma Summer Palace was a summer home to Queen Emma of Hawaii and her family, King Kamehameha and Prince Albert. The home, built in 1847, is on the National Historic Registry. It’s filled with royal furnishings and antiques as well as Queen Emma’s belongings, which makes a perfect location for an elegant wedding. Couples can choose the Summer Palace, the Prince Albert Terrace, or the surrounding landscaped park for their venue. Emmalani Hale, next door, can accommodate 100 to 115 guests, and the terrace can host 50 to 80 guests. This venue is a Wedding Spot Award winner. Sunset Ranch is an exclusive private estate situated on Oahu’s North Shore at the top of Waimea Valley. Dedicated to Hawaii’s sustainability, ecology-conscious couples will want to put this venue on their shortlist. The private estate offers spectacular views of both the mountains and ocean, plus elegant and tranquil ceremony venues on their 30 acres. Couples can choose from Charlie’s Pond, Sunset Meadow, Fern’s Gardens 1 & 2, Sunset Vista, and the courtyard for outdoor venues, or the Sunset Stables barn for an indoor ceremony. The estate works for any wedding from intimate to large receptions, rustic to luxurious. 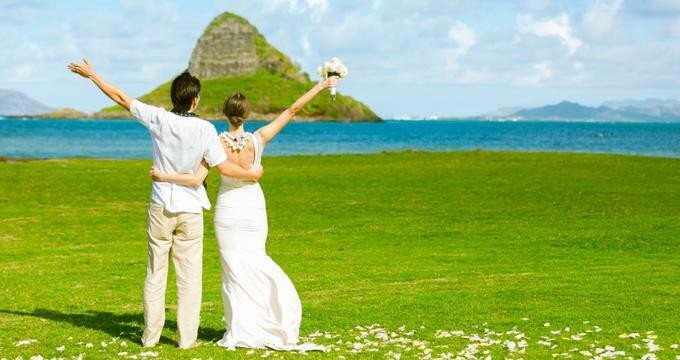 The Best Hawaii Wedding provides couples with five distinct wedding locations. Angel Garden is a private oceanfront estate on Oahu’s eastern side. It has indoor/outdoor space with a modern feel. Hanalani Chapel is a Victorian-style chapel amid a lush tropical landscape, accommodating intimate ceremonies in the chapel and large receptions outdoors. Couples with their sights set on a fairytale wedding will find their venue at Paradise Crystal Chapel on Ko’Olina’s waterfront property. Finally, White Beach Chapel with its French-inspired décor is the perfect locale for a vintage wedding – an intimate chapel with panoramic ocean views. Beach weddings can be held on Hilton Beach and designed according to the couple’s style, from casual to elegant. The Palms Cliff House Inn is a private oceanfront boutique B&B that sits along the Hamakua Coast of the Big Island. Eight guestrooms with en suites and private entrances may be reserved for two nights for wedding parties. Ceremonies are cliffside overlooking the Pacific Ocean and range from the Simple Elegant Wedding for two to weddings of up to 80 guests. However, couples can choose an indoor ceremony that includes a staircase for the bride’s entrance as an alternative. Officiants include a Hawaiian Kahu, non-denominational minister, or Justice of the Peace. Receptions are held on the main lanai and are limited to 3 hours, including cleanup. The Wainaku Executive Center is the former Hilo Sugar Mill estate, built in 1894 and situated cliffside on Hilo Bay. Outdoor ceremonies are performed in their private amphitheater at the cliff’s edge or on the front lanai (1,000 square feet). Indoor events can be held in the Large Events Room or the Small Events Room. Wedding ceremony rentals here include a 1-hour rehearsal during their business hours. Rental times are strictly enforced on either end – setup or cleanup – and couples are charged significant fees for every 15 minutes they are either early or late to the scheduled rental times.